This 800-Acre Jeep Paradise is a huge park for all types of 4 wheel drive vehicles including Trucks, SUV’s, desert cars, dirt bikes, rally cars and much more. There is also a 10 mile off road truck or mud track if you want to get real dirty. 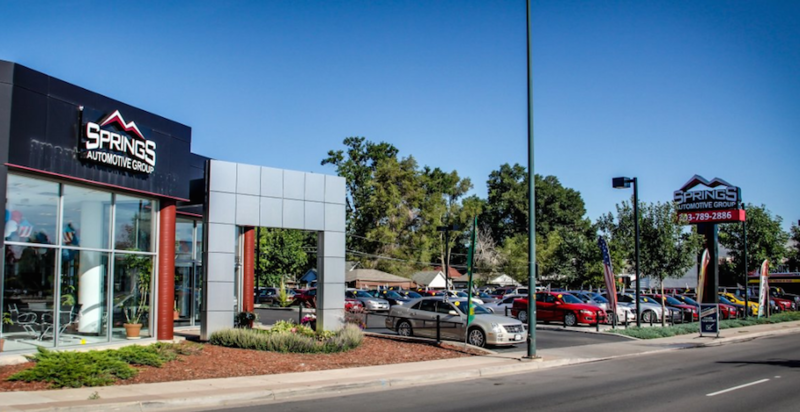 It takes me about an hour to get here from Springs Automotive Group in Denver and 2 hours from Springs Automotive Group in Colorado Springs. Parking is $10 for members and $20 for non members. This is definitely a weekend trip getaway. From I-70: Take exit 328 toward Deer Trail. Turn west on Cedar St, continue approx 0.3 miles to 1st Ave. Turn south on 1st Ave, continue approx 4.9 miles to Co Rd 190. Turn east on Co Rd 190, continue approx 0.1 miles, track is on south side of road. This hidden gem is a local secret just between Eagle and Gypsum, Colorado. Right in the heart of the Rockies. It is a 8 mile Jeep trail that runs along a steep, rugged ridge and over beautiful terrain that your Jeep Wrangler will be able to take pretty easy. The total elevation is just under 3300 feet. There is some challenging spots, but nothing that your new or used Jeep Wrangler can’t handle. It’s a pretty good hunting area too, so I would probably stay off during hunting season. Its about 2 hours from my used car dealership in Englewood and closer to 3 hours from Colorado Springs. From Gypsum: Head south on Valley Rd from US-6 approx 0.4 miles to Cooley Mesa Rd. Turn east on Cooley Mesa Rd and follow approx 1.8 miles to Spring Creek Rd. Turn south on Spring Creek Rd and follow approx 1.0 mile. Access is off of Spring Creek Rd. There are my first Jeep Wrangler trail post and I will post another in a few weeks. Hope you enjoy.